Join Shane Berry and his high school buddy Jim Kirk and fraternity brother Vance Carruth for a three week adventure in Ecuador and the Galapagos. During the last 11 years Shane has completed adventures with both his friends to Alaska, Australia, Belize, Bolivia, Brazil, Burma, Indochina, Mongolia, Southern Africa, South Africa and Taiwan. 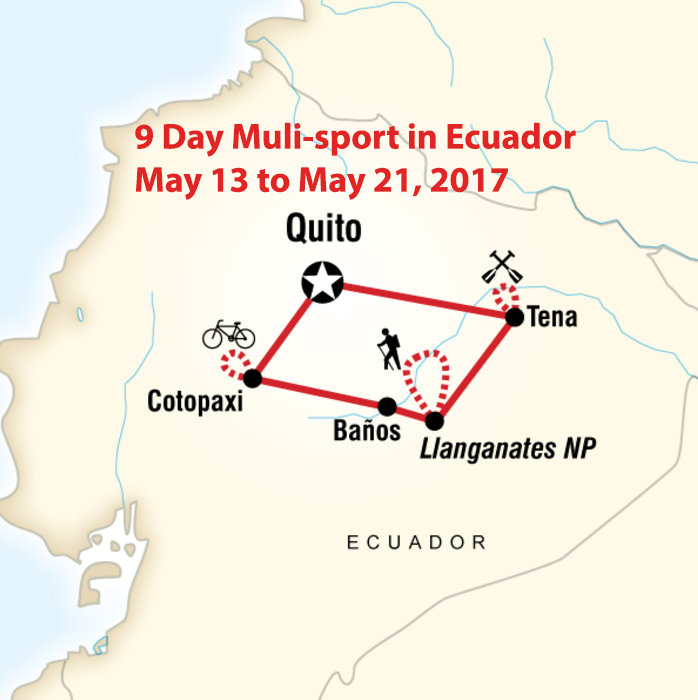 Shane and his buddies spent several days getting acclimated to the elevation and getting ready for the multi-sport activities by walking around Quito which has a “nosebleed” elevation of 9,350 feet. 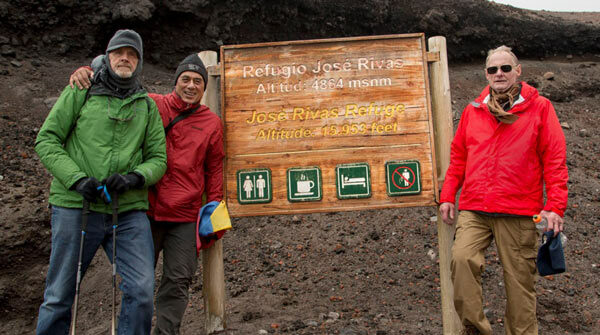 The first day, they hiked up to the Virgin of El Pancello (or the Virgin of Quito) which at 9,896 feet overlooks Quito where Shane almost fell and went OTGA, “On The Great Adventure.” Another warm up challenge was hiking up and down Quilota Volcano which is at 12,841 feet in elevation. This stunning volcano, which was covered partly by clouds on the rim, has a lake inside of it. 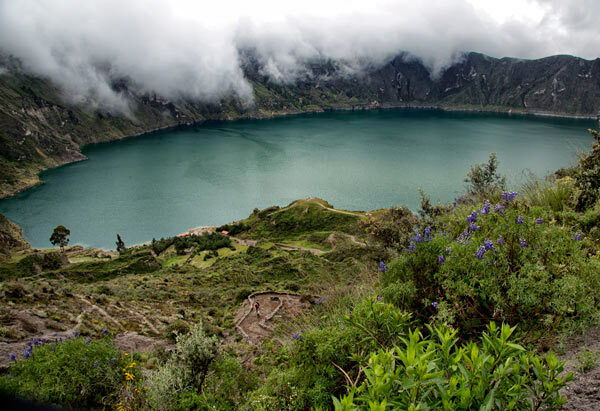 The hike at Quilota volcano is 1700 feet straight up and down. 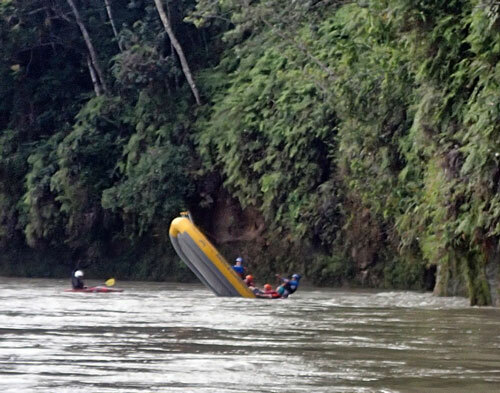 It was the most difficult hike of their Ecuadorian adventure. Time was also spent at the world famous Bellavisa Cloud Forest Reserve which is on the equator. One pleasant surprise was the excellent food in Ecuador. Over the past 15 years Shane has had the opportunity to visit, explore and photograph all the major countries in South America with the exception of Colombia and Ecuador/Galapagos and was tired of churches and local markets in South American. 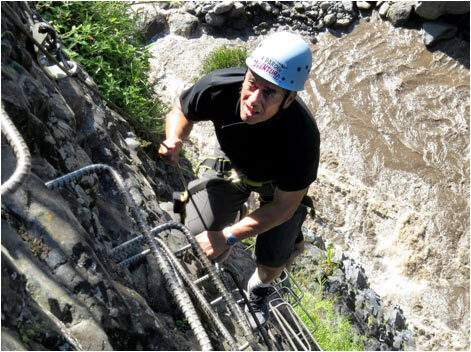 So, one of the goals in Ecuador was to concentrate on multi-sport activities such as white water rafting the Jatunyaku River in the Amazon basin, trekking Llanganates National Park (12,467 feet elevation), mountain biking near Cotopaxi Volcano (12,500 feet elevation), ziplining the canyons near the city of Banos and finally climbing to the Cotopaxi Volcano refuge shelter at 15,954 ft. Shane states that “we climbed our highest elevations ever at our oldest ages.” These multi-sport activities took place along the Avenue of the Volcanoes. 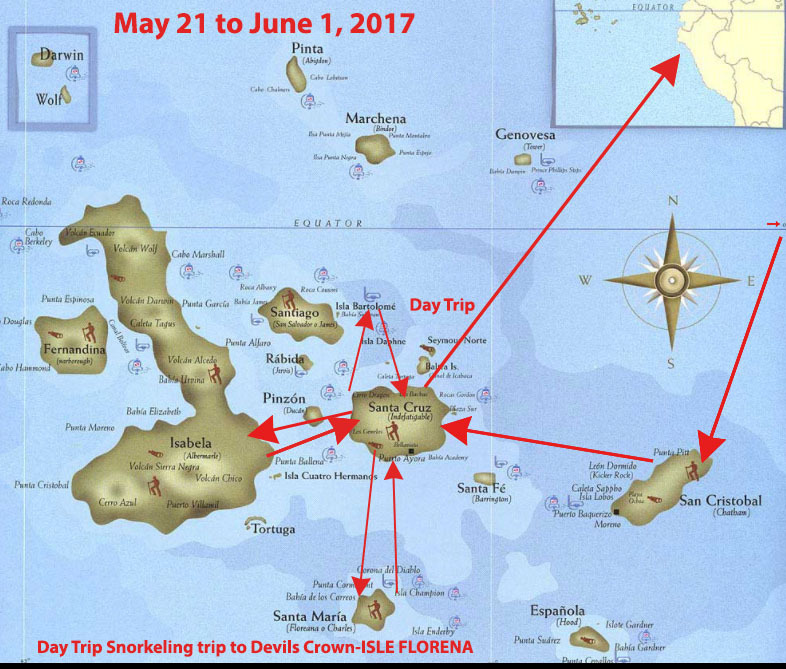 Next onto the Galapagos where the goal was not a cruise but an independent journey using local ferries to the three main islands of Santa Cristobal, Santa Cruz and Isabela plus day trips to other islands. They personalized the trip with their own individual interests. 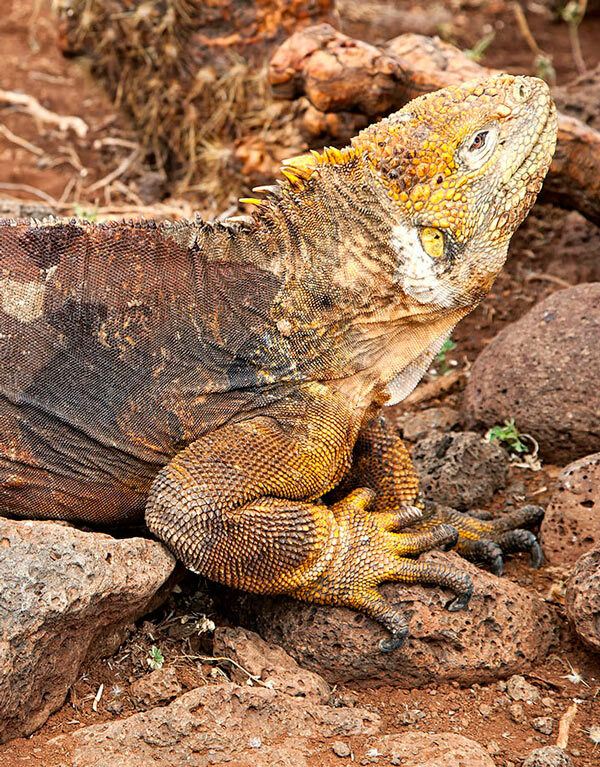 By trip’s end they had the opportunity to see many of the animals, birds and marine life that makes the Galapagos so special. Highlights included Isle North Seymour with the breeding grounds of the Blue Footed Boobies and the Magnificent Male Frigatebirds. 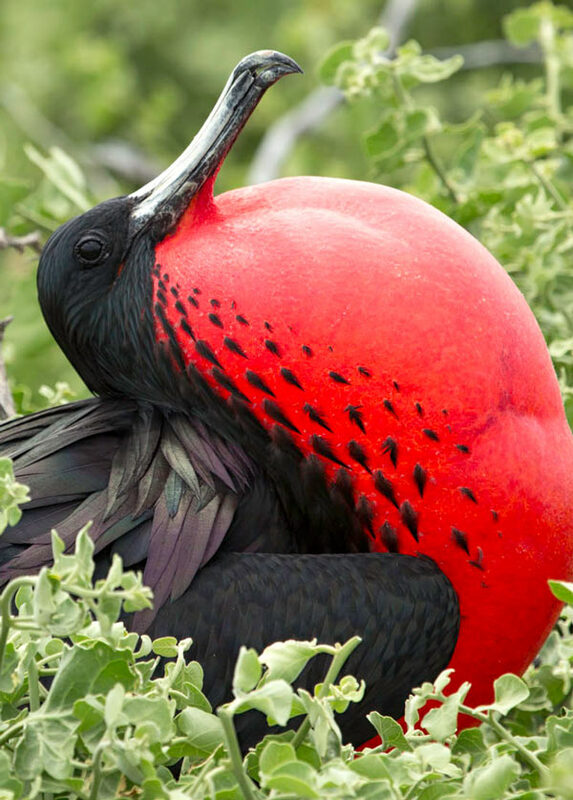 Isla Barthomele provided the spectacular classic view of the Galapagos. Snorkeling Los Tunnels was one of the top highlights in the Galapagos with superb convoluted lava formations which meets the ocean to create natural bridges and lagoons. Time was spent hiking among the unworldly-like scenery and fumaroles, and of Volcano Sierra Negra. 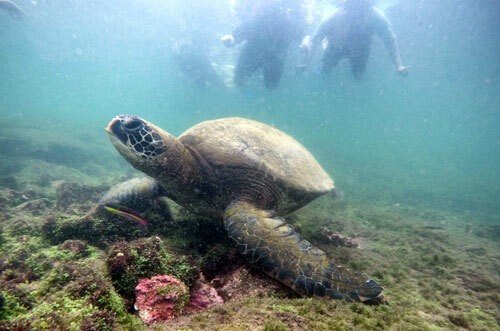 Swimming with the marine black iguanas and White Tipped Reef Sharks at various spots in the Galapagos was another adventurous highlight of the trip. 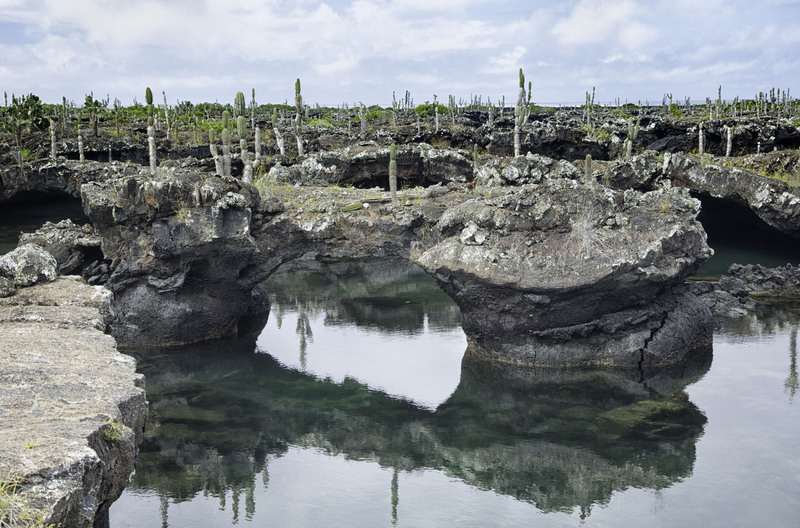 One can see the Galapagos independently or combine it with a cruise but as adventurers they chose to get “Off The Beaten Track” in the Galapagos and do it on their own.